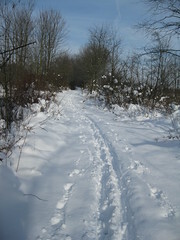 The trails at the Audubon Center & Sanctuary are truly multipurpose trails. No, that doesn’t mean that snowmobiles, ATVs, bicycles, and horses are allowed. 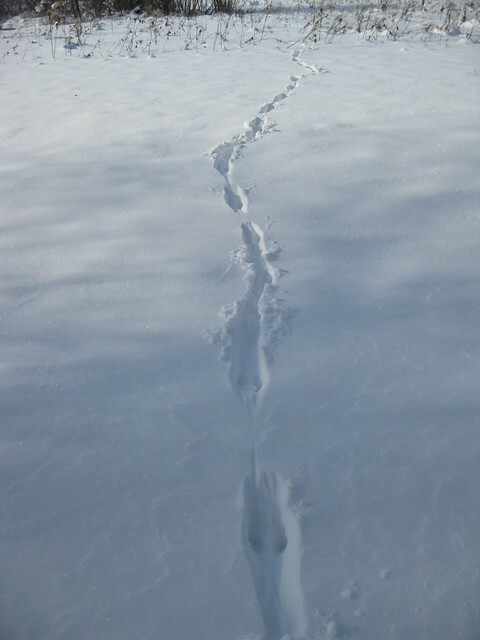 Hikers, cross-country skiers, snowshoers, and a myriad of animals ARE allowed. 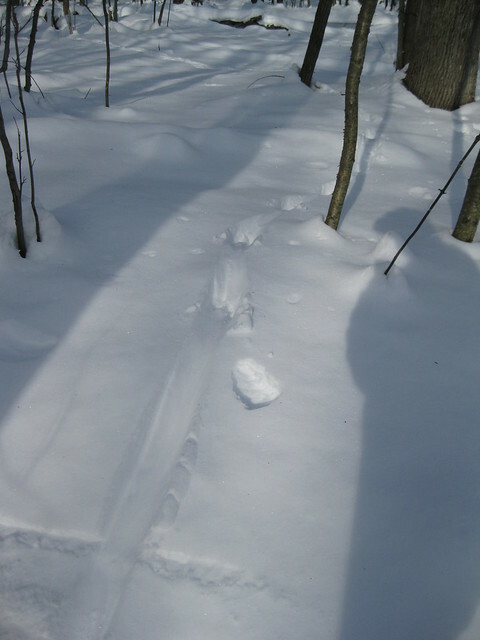 I had the pleasure of skiing on Saturday (after Heather had blazed and refined the trail several days during the week – Thank you, Heather!). 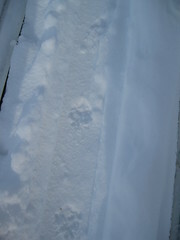 Here are some of the animal tracks I saw. I’ve indentified them with my best guesses. If you know better, please correct me! 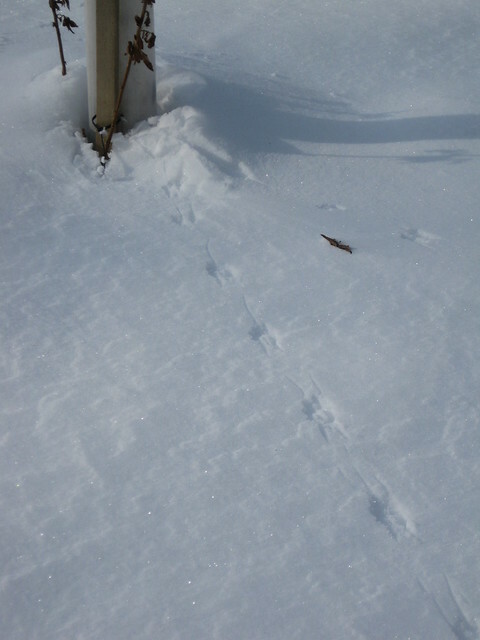 I’m pretty sure these were squirrel tracks. 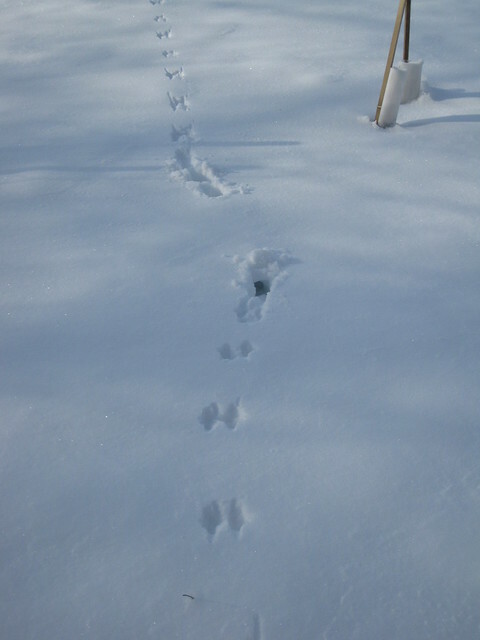 Funny how he went under the snow for a bit, then emerged to continue hopping over the surface! Looks like the feral cat who’s been hanging around the Center lately. What do you think? Did I get the IDs right? 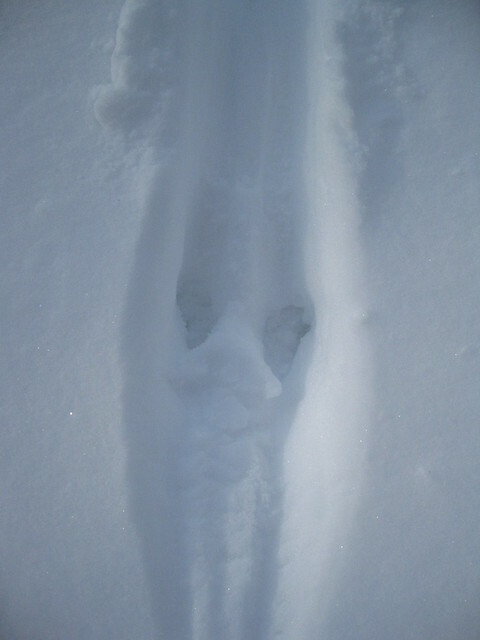 This entry was posted in tracks and signs, winter. Bookmark the permalink. 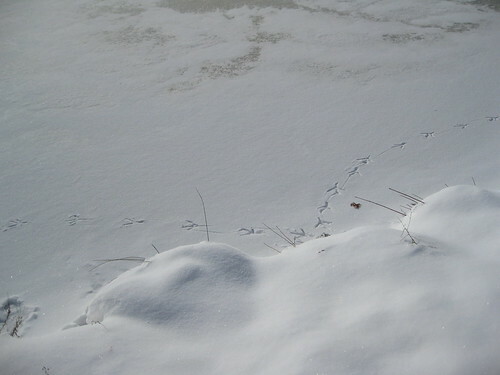 what a lovely record of heron’s presence. love the snowflakes floating by! 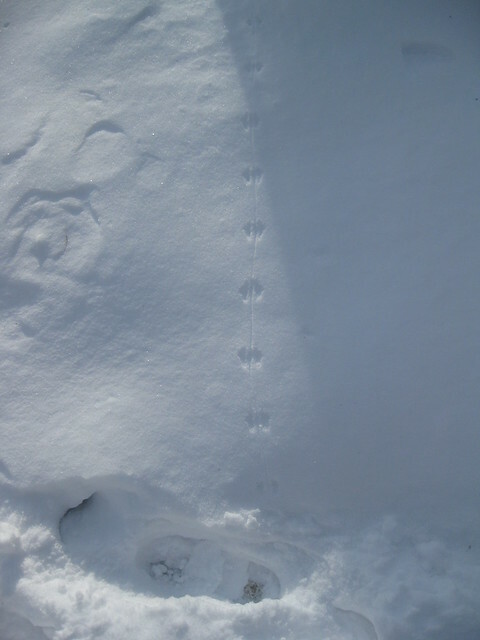 Just such interesting footprints! 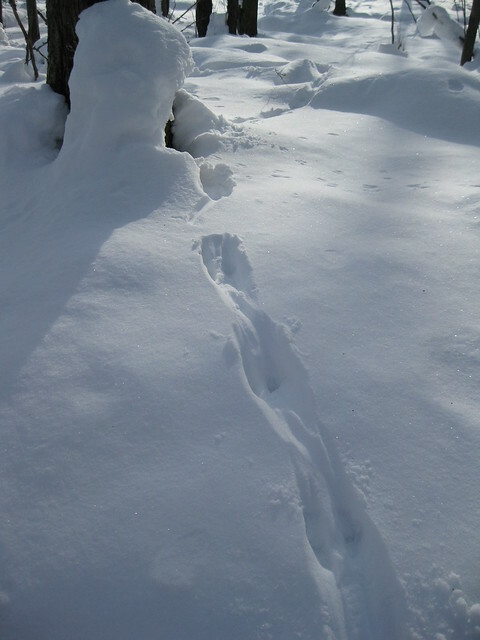 I love the squirrel tracks tunneling under the snow – so fun! Lovely post. Thanks! 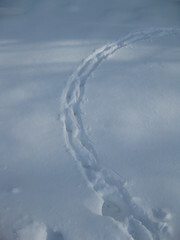 ‘Can’t help you much with the tracks.